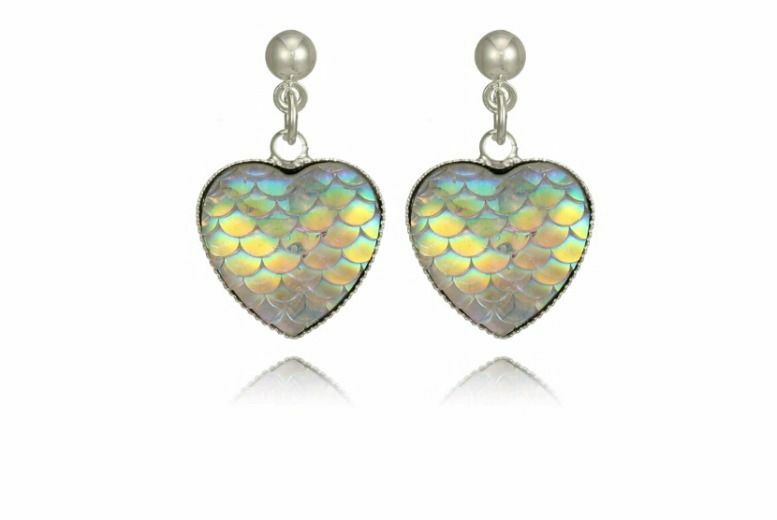 Stock up your sparkle stash with these heart shaped drop earrings. Fashionable iridescent “mermaid tail” effect A perfect gift for a loved one. Treat your SO to a special pressie! Look gorgeous with any ensemble.